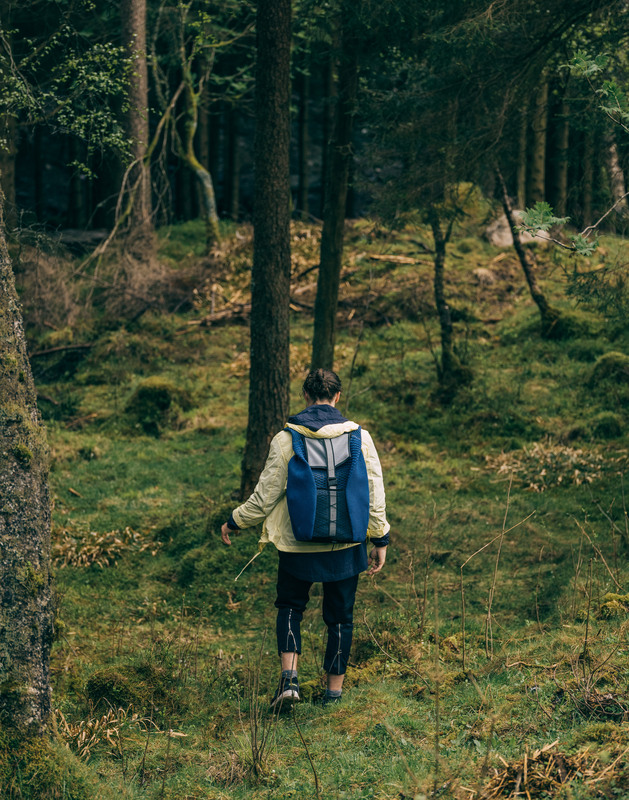 Pauline van Dongen designs backpack using "energy harvesting textile"
Dutch designer Pauline van Dongen has created a backpack from a single piece of knitted fabric, which incorporates tiny solar power beads enabling wearers to charge smart devices on the go. 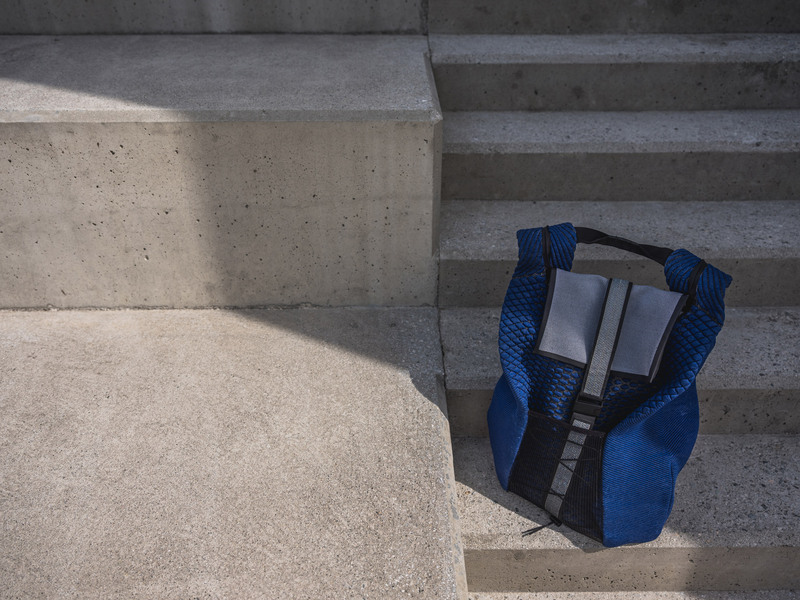 Like Van Dongen's clothing with integrated solar panels, the Radius backpack features a strap that utilises the sun-powered charging technology. This section of the bag is composed of small spherical beads functioning as solar cells. 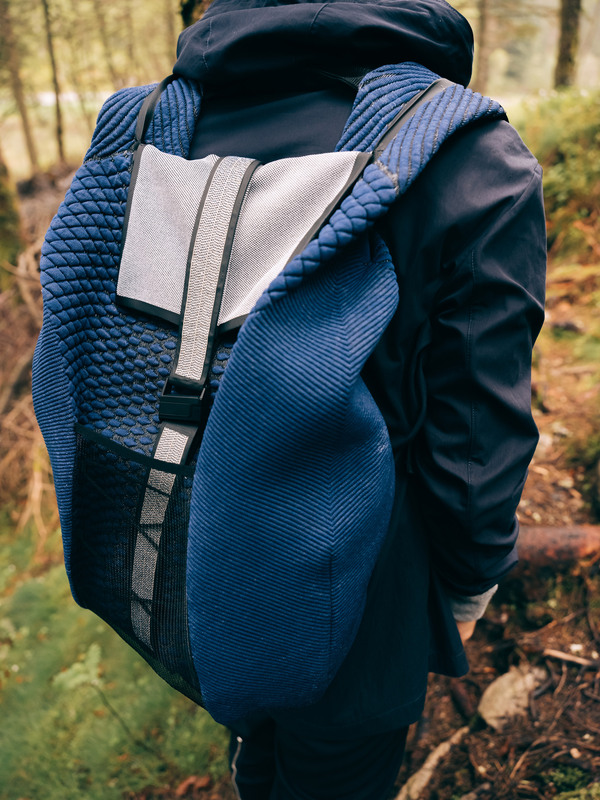 Made by solar textile company Sphelar Power, energy harvested through the strap is then fed through a charging cable that can be accessed by opening a magnetic clasp on the top pocket of the bag. "From afar, [the strap] appears to blend with the knit of the top lid. But a closer look reveals how light breaks on a beaded surface," said the designer. "This magical material holds secret powers: each bead is a tiny spherical solar cell that is woven into the fabric, creating a unique energy harvesting textile." Made in collaboration with fellow designer Eva de Laat, the Radius bag has been crafted from a single knitted piece of material that was developed at the Santoni research lab in Shanghai. Through the use of different yarns and data-driven knitting machines, the duo crafted a three-dimensional piece created in a double-layered jersey fabric. At the top, the bag looks to have been folded over and features a blue rounded exterior that curves inwards at the sides. The underneath material is patterned with ridged lines and dots. Its material is made from speciality yarns that combine with substances that shrink it to create varying dimensions, like three-dimensional panelling, in the product. 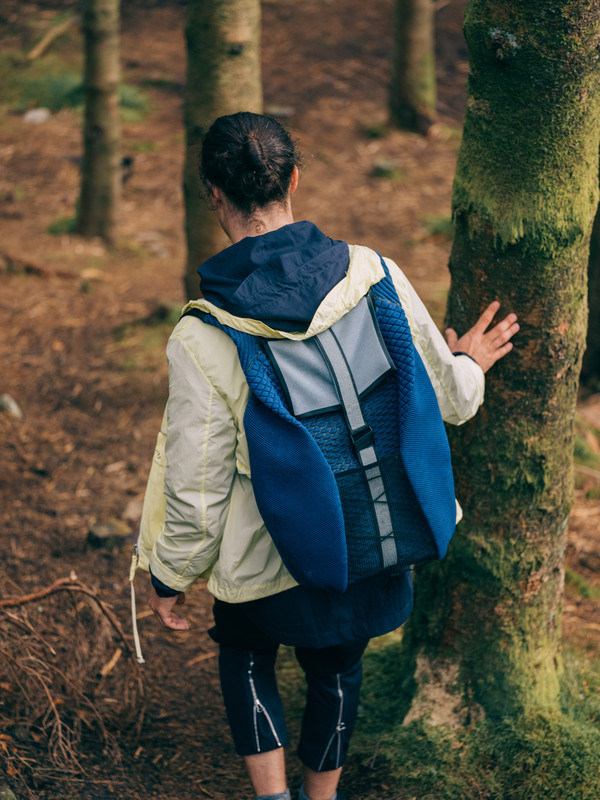 As well as creating decorative patterns, this technique also results in extra padding on the backside and shoulder straps of the product, for comfort. "Radius is constructed out of a single continuous knitted piece and tailored to explorers on a short escape," they said. "Specialty yarns, such as expansion yarns are mixed with high shrinking effects." 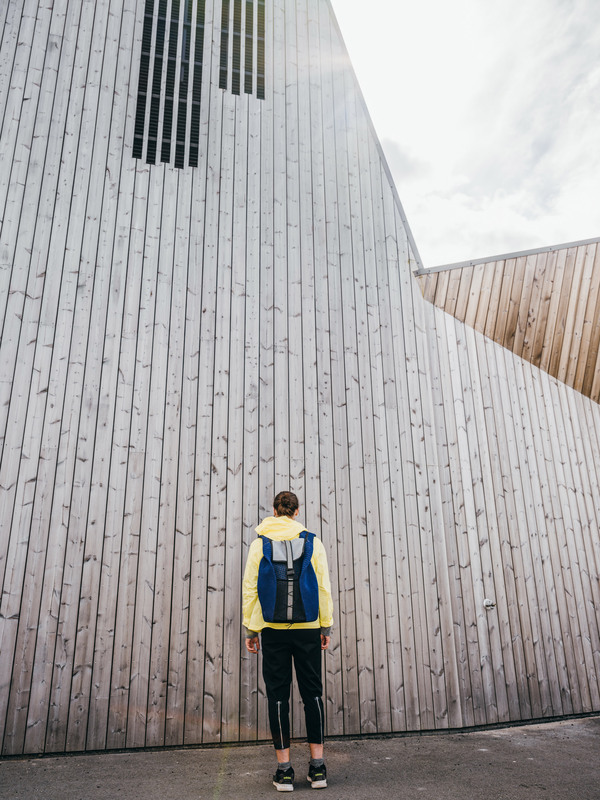 "This creates a variety of densities and give an additional structure and form to the engineered patterns," they continued. "By utilizing the double jersey machine the material smoothly combines single layer fabric with double layer fabric." Arnhem-based Van Dongen began exploring the possibilities of incorporating solar charging technology into clothes in 2013, with a fashion collection that used panels concealed under flaps to turn the wearer into a walking phone charger. Since then, her digital fashion creations have ranged from a knitted cardigan that senses how well its wearer is moving, and a long jump suit made from condom material.